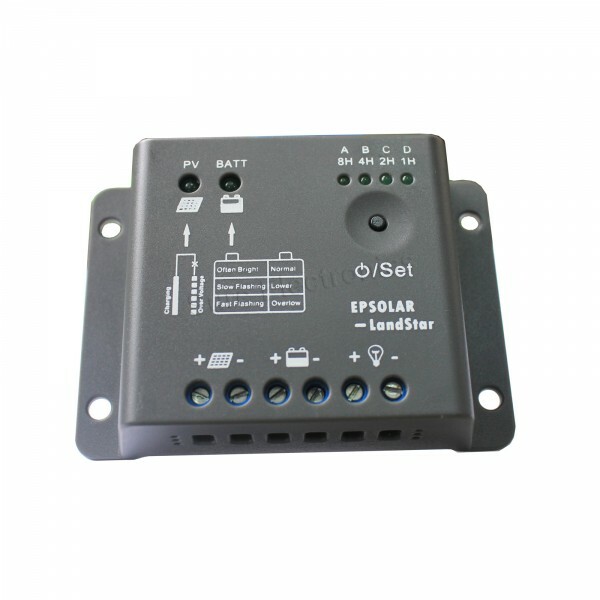 This item ideals for small off-grid solar lighting system that needs light and timer control. High efficient Series PWM charging, increase the battery lifetime and improve the solar system performance. Widely used, automatically recognize day/night. Adopt temperature compensation, correct the charging and discharging parameters automaticy and improve the battey lifetime.